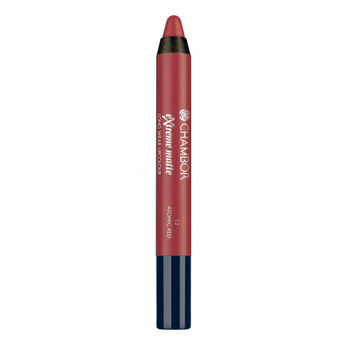 Chambor Extreme Wear Matte Long Wear Lip Color is an intensely soft and creamy textured lip crayon that provides a velvety matte finish. Its hydrating lightweight formula delivers pigment rich colour that does not dry out lips, provides a super long wear and is waterproof. Enriched with emollients with a combination of unique silicones it ensures a long lasting wear with seamless colour for hours. Explore the entire range of Lipstick available on Nykaa. Shop more Chambor products here.You can browse through the complete world of Chambor Lipstick .Alternatively, you can also find many more products from the Chambor Extreme Matte Long Wear Lip Colour range.